General Election 2017: Can Jeremy Corbyn become the next Prime Minister? "For all Labour's polling improvement, the Tory share remains consistently in the mid-40s and on course for a decisive victory, if lower than extreme early expectations. Corbyn is hoovering up the Left vote but isn't winning over his critics on the Right." It remains a longshot, but in 12 days time the political prediction industry could be in meltdown. 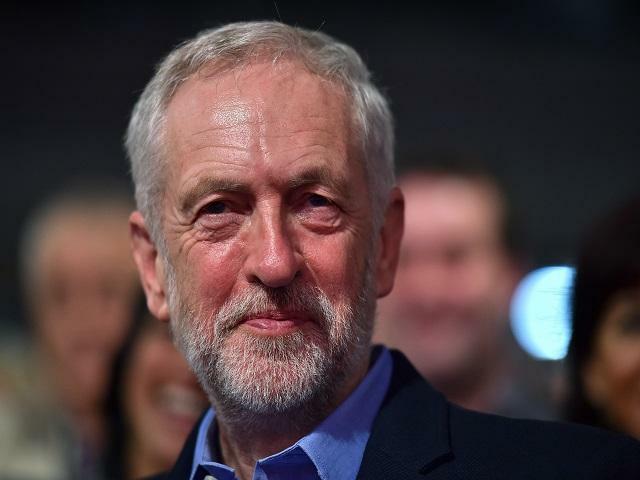 Donald Trump may have produced the biggest upset of all-time but even that shock would pale into insignificance compared to Jeremy Corbyn becoming Prime Minister. Three weeks ago that eventuality was rated less than 3% likely on our market but this morning Corbyn's odds are down to [10.0] or 10% - around the same that were available about Trump on election night. Labour's polling improvement has been rapid and remarkable by recent campaign standards. At the start, they were regularly 20% behind. In two of today's five polls, the deficit is no more than 7% - the average is 10%. Equally, Corbyn has made significant inroads into a huge deficit with Theresa May in both approval and best PM ratings. Naturally, the betting impact has been significant, particularly on side markets. For example Labour Vote Percentage has been transformed. From a peak of [12.5], 30.01-35% is now rated five times likelier at [2.5], while 35.01%-40% has shortened from [100.0] to just [4.0]. Their odds on winning Over 177.5 Seats - advised earlier at [3.5] - is now a decent shade of odds-on at [1.7]. Such minor targets, of course, remain well short of success - 178 seats would represent a net loss of 54. In order to win Most Seats, they must overhaul a 99 seat deficit. Psephologists predict that Labour would need a lead of nearly 4% to be the largest party and over 12% for an Overall Majority. Nevertheless at this rate of improvement, Labour at least retain realistic hope of a hung parliament. Narrowing the gap to 4% would probably achieve that and there's no question they are winning the campaign. As predicted, their manifesto provided a big boost and Corbyn has defied low expectations. Entering the closing stretch, everything is still to play for. This is the time when voters take a closer interest, with the set-piece TV moments almost upon us. On Monday, May and Corbyn will face questions from a studio audience on Sky News, ahead of a pivotal Question Time on Friday. Given the current trajectory and the fact he seems more comfortable defending Labour's positions than his rival does her own manifesto, Corbyn has a good chance to gain further momentum. Whether he and Labour are set for much further progress, however, is extremely doubtful. For all their polling improvement, the Tory share remains consistently in the mid-40s and on course for a decisive victory, if lower than extreme early expectations. Corbyn is hoovering up the Left vote but isn't winning over his critics on the Right. My estimate is that Labour's ceiling is around 40%, which at best could deny the Tories a majority. To actually win or manufacture a scenario where Corbyn becomes PM still requires a miracle. The wider dynamic is that England and Wales are reverting to two-party politics, with UKIP and the Lib Dems squeezed into irrelevance. Labour's 38% share in today's ORB poll is more than 2% higher than Tony Blair achieved when winning a 66 majority in 2005 yet, in today's regional and parliamentary context, could yield 150 fewer seats. To win again, Labour need to build a much wider coalition of voters than currently seems imaginable. Moreover, it requires quite a leap of faith to believe Labour will live up to polling expectations on June 8. In every election over the past quarter-century besides 2010, they underperformed. Their supporters are overwhelmingly younger than Conservatives and therefore consistently less likely to turn out. Indeed, this explains the difference between polling firms - those showing higher Tory leads usually placed greater weight on past likelihood to vote. If that vast disparity were to significantly close, it would transform the electoral maths and turnout is the essential dynamic. Just as Trump upset the odds by strongly enthusing a particular section of previously unreliable Republican voters, Corbyn's stronger appeal with younger voters and previous abstainers is Labour's potential gamechanger. Until such a transformation actually occurs, though, an upset remains a long way off. The Conservatives remain well on course for a majority, albeit of a slightly reduced scale. Given Labour's improvement, my prediction has dropped below, rather than above 100 - from roughly 120 to 90. Nevertheless, widespread expectations of a dull, extremely one-sided election have been confounded. It is becoming a compelling, pivotal moment in our political history.